Our CPU of choice is the Ryzen 3 2200. This CPU is inexpensive but still packs a punch with its 4 cores and 3.7 GHz turbo frequency. It also has an impressive integrated GPU, which will allow you to play lower demand games passably, including Fortnite. The Ryzen 3 2200G includes a good stock cooler, so a 3rd-party cooler isn't necessary. We're using a parametric filter to constantly select the best-priced motherboard while meeting selected criteria. In this case, we are filtering for mATX B450 chipsets, which will allow us to overclock the CPU without breaking the bank. The compatibility engine will filter out anything not compatible with the build. For this build and most machines outside of the top end enthusiast realm we opted to go with 8GB of DDR4 memory. The parametric filter finds the best price on 8GB kits of memory that are within AMD’s recommended specifications. We've limited it to DDR4-2800 to DDR4-3200 as Ryzen CPUs scale well with higher frequency memory. 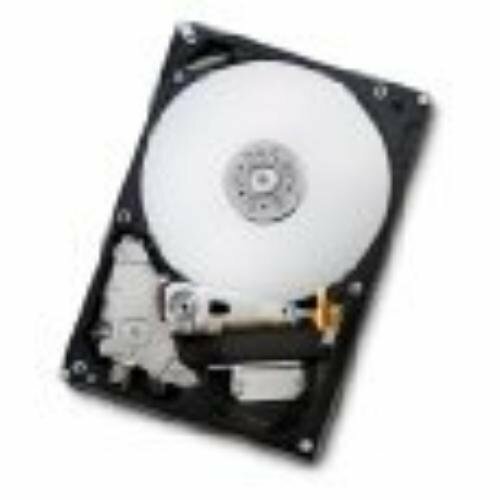 We're using a parametric filter to select the best-priced 2TB mechanical drive. Unfortunately, with the rising cost of NAND, we've had to cut out the SSD in order to keep this build more budget-friendly. Everyone's needs are different, so feel free to increase capacities or add an SSD to fit yours. We have set a parametric filter for the best-priced GeForce GTX 1050 Ti, which will let you play any popular game available today, including Fortnite and PUBG. 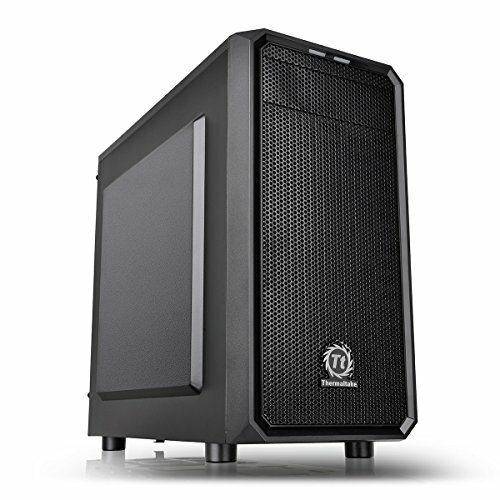 The Deepcool TESSERACT is a mid tower case that can fit all of our components. It offers decent cable management, which can sometimes be a problem at our budget, and there's room to expand with hard drives or a solid state drive. It also has 1 USB 2.0 and 1 USB 3.0 port on the front panel. Cases tend to be highly personal choices, so make sure you browse our listed cases to see what suits you. Here is the Intel version of our Entry Level Gaming Guide. basically what i use. would definitely recommend. do you have a system fan? Can it run Witcher 3 and if so how well? Or Resident Evil 7? You can get a rough idea at this link, you put in cpu, gpu, and ram, and they will show you how well this setup works. You can choose from so many games. What is the rationale behind using the Ryzen 3 1300X over the Ryzen 3 2200g? I thought the 2200g was the new defacto entry level AMD processor; It's cheaper than the 1300X and the specifications are the same. The entry-level builds rely on GTX 1050Ti which outperforms the Vega 8 graphics of the Ryzen 2200G. In the end the 1300X is still recommended since it's the same price point as the 2200G and it helps beginners avoid the Bios problem with B350 mobos which is still going around somehow. (I'm super new to building pc's) if I got the Ryzen 2200G it would still be compatible with everything else? Or should I just stick with the 1300X? I was wondering if there was a "how to" video on this build. I'm having some difficulties with the wires. If I replaced the Ryzen 3 1300X with Ryzen 3 2200G in this build but without a GPU, can I get 60fps in DOTA2 medium settings in 1080p? I plan on using this build guide as a starting point to building my first PC, I'll use it mainly for gaming and some streaming here and there. I am completely new to all of this....is this where I should be starting at? I would be playing games like Fortnite, The Division, and plenty of older generation games. I'm not adamant about having the highest settings at all times but I would like better quality than my console at least, if anyone could help steer me in the right direction that would be greatly appreciated. Thanks in advance guys. same here, but could you add the price of windows included? Sale of software and keys from that site often violates the ToS or are resold licenses purchased via fraudulent credit card. Recommending, suggesting, advising, encouraging, hinting, or in any way implying these keys as a solution or option is not allowed on this site. It was in response to someone else. Can this run fortnite and gta 5 well? Yes it can. There are also benchmark videos on YT. Um... maybe for fortnite but definitely not for GTA 5. Even though it's an old game it would defenitly not run at 60 fps on 1080p high with a 1050ti. Maybe I'm wrong(Mostly). If I am a beginning PC gamer starting to get real competitive(in terms of gaming), is this the PC I should get? Would it run these games for more than 100 FPS? If not at least over 60? Is there any motherboard other than B350 that you can recommend to pair with Ryzen 3 2200g to avoid bios problems? I'm pretty sure the x470 chipset motherboards can always handle the new APUs out of box, but the cheapest ones are $130; that's nearly double the price for the convenience of not updating the bios. Up to you if it's worth it or not. So i went to canada computers store today and was lucky to have them update the bios for me if i bought the Gigabyte A320M motherboard (CAD$75.00) and Ryzen 3 2200G (CAD$129.99) from their location, plus tax. Not a bad price at all. Glad you found a way to get a ryzen APU working without the overpriced newer boards. Will this same build perform well and be compatible and not bottleneck if I use a Radeon RX 580? Sorry first time builder here! RX 580 will really be taxing on a 1300x. It can probably handle it; but I'd recommend upgrading to the ryzen 5 2600, or if you're okay with jumping over to an Intel core, the i3-8350k is a really good choice at the moment. What setting can this run Overwatch and WoW on? I'm looking to get a PC for WoW and League of Legends, will it run it awesomely for current and upcoming raids too? 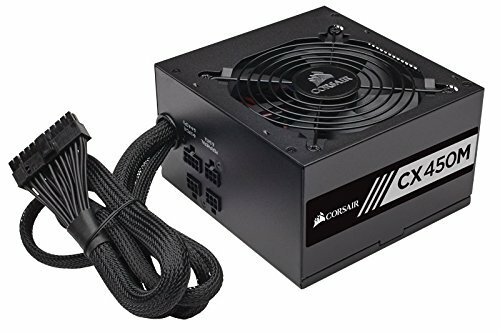 Does anyone have any recommendations for a cheaper PSU? Going cheaper doesn't mean better, you pay for warranty and peace of mind that it is made with care and wont blow up your pc. Can this PC play Arma 3 and Civilization 6 at a good setting? Can i use GA ab350m gaming 3 MOBO for this? will have any problems? Question: for the mother board, everyone is saying there is a lot of hangup on it and games would be "bombing" out. Does anyone have an alternate recommendation for a mother board that's a bit more reliable even if it's pricier? Console player here but looking to build a pc. 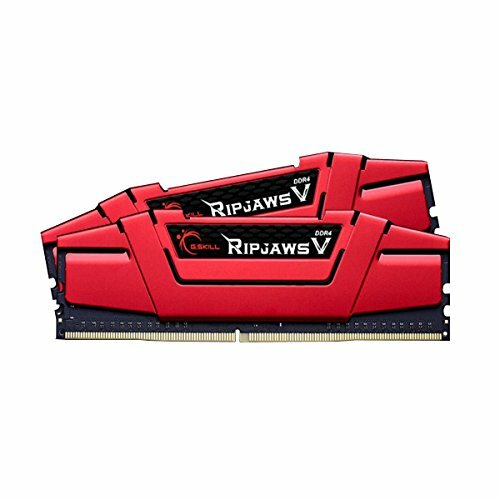 Would this build be good for Rainbow Six Siege and Fortnite and at what FPS? Thanks for your input, I'll take a look at it! All you did was add an SSD. Adding an SSD but downgrading to a slower CPU, slower RAM and a mobo with 2 DIMM slots isn't worth it. I would recommend a 200+ GB SSD. Probably ADATA or Kingston. Are there any wires that I need to buy separately? Like the Power cord and others And if I do have to buy separate cords where can I get them? Do I need to buy any separate wires? When I install the ASUS GeForce GTX 1050i on the Gigabyte AB350M-DS3H motherboard, it blocks the PCI slot I need for the wireless adapter. Also, the video card's fan points down inside the case, which doesn't seem right. Recently the prices for the 1300X have been going up significantly as there is anticipation of the 2300X coming soon. Help please... If I wanted to add an SSD to this build is there any changes I would need to make to do so? and which SSD would you recommend, or if I should even bother at all? Make sure the case is compatible with the physical size of your SSD. recommended because of faster boot times and faster load times if the programs are on the SSD, brand and size is up to you. Look up the reviews on amazon and ask yourself how much storage you need on the SSD. I just built the AMD entry level gaming build. The computer boots up to the bios screen without the HDD connected, but when the HDD is connected to the power supply we just get a screen that says "reboot and select proper boot device or insert boot media in selected boot device and press a key" Any idea what is wrong? I watched a Youtube video while I put my computer together, and that worked just fine. Just make sure you keep yourself grounded (or buy an anti-static strap). Why not just use the rx 560 instead of the 1050 Ti? The GTX 1050ti was more available when the list was made. How well would this setup work with beamng drive? Can anyone that has this build or similar tell me if this would be able to run games such as The Witcher 3, Assassins Creed: Origins, or other similar RPG's at 1080p 60fps on High settings? If not, how many frames would you get running at 1080p? Thanks! I am new to building custom PCs. Don't really play any PC games yet because my laptop wont handle them. I play SWTOR: Star Wars The Old Republic online. but i have to run it at the lowest settings possible and still lag out a lot. I have seen the game on the highest settings and would really want to play it that way. Can anyone tell me if this build would be able to run that game on the highest settings? I’m basically a grandma when it comes to hardware, is there a video or anything showing how to actually put this stuff together? Question. Can I run two Nvidia GTX460s in parallel with this build? Guessing I will need a higher wattage supply. Does this come with a OS or should I get one? You'll still to buy an OS. No hate just an opinion!!! They use to recommend the ryzen 2000 series when the 1050 ti was hit by the crypto, but now that the price died down a bit, they reverted it back. There was also the issue of the ryzen 2000 requiring a update on certain motherboards. This build fits between the area of bare minimum 1080p and ultra 1080p, and it does a fine job of doing that. Hey this is a great build. I tried to recreate it with the AMD Ryzen 3 2200G because I don't want to go too far over $600 with a 1080p monitor. I think the build is good; both yours and mine would run games decently well. My Build: PCPartPicker part list: https://pcpartpicker.com/list/vkVK29 Price breakdown by merchant: https://pcpartpicker.com/list/vkVK29/by_merchant/ What do you guys think? Would this work well as a supplementary streaming PC to another PC? Could I stream CSGO with this setup? Or Fortnite? And if yes, then what framerate should I expect? my last rig could barely crank out 30fps while streaming CS, but it was pretty old. With $650 you can add an SSD to the build. The best option I think u have, is to buy another two modules of ram. Make it a 16 GB system. Definitely get a 120+gb SSD for your OS. Maybe a larger one for a few games you play often. Ram's ridiculously priced at the moment, so you really don't want to be buying more than you need. Similar story for the GPU; 1050ti's at a good place right now, I wouldn't recommend upgrading it unless you really want the performance. All motherboards that will appear in this part list will have 4 RAM slots, so 16GB will still be achievable when starting with 2x4GB DIMMs.